The SOLO Pool Table Movers in Denver are the only company in the industry that offers 7 days per week support for our customers with the most technologically advanced systems in use today. Call our staff to get a price to move your pool table or if you only have general questions. Your satisfaction is what has made us the largest and most progressive company in the industry. Our mission is your full satisfaction. Do you need to move your pool table? No need to worry! We’ll take care of it. We handle complete pool table moves on a daily basis. Moving your pool table with SOLO Pool Table Movers in Denver Colorado includes proper teardown, transportation, pool table setup with expert level and installation of the existing felt. The application of the existing cloth is completely dependent on the condition of it. Denver Pool Table Movers SOLO installs new and used pool tables all over the Denver area. We come to your home, un-crate as necessary, cover rails and professional level all 3 pieces of slates using precise leveling equipment. We handle everything from start to finish. We also cover surrounding areas: Boulder, Longmont, Loveland, Greeley, Forth Collins, Lyons, Castle Rock, Nederland, Hudson, Lakewood, Keenesburg, Centennial, Idaho Springs, Keenesburg, Bailey, Johnstown, Windsor, Wellington, and several other areas all over the state! The SOLO Pool Table Movers in Denver can take care of your pool table recovering as well with new billiard cloth (guaranteed for an entire year!) if you desire for an additional cost. Guaranteed satisfaction and leveling on applicable pool tables. We can move pool tables from house or house and we service local businesses also. We also have a classifieds listing that shows used pool tables for sale, in case you’re still looking for one! 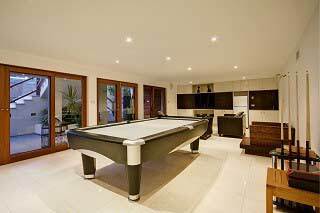 We take care of professional pool tables in homes, businesses and even garages! We handle every aspect of your pool table move. If you’re not sure your pool table will fit in the game room, feel free to check out our pool table room sizes chart. Have a little problem with your pool table? From pocket repair and replacement to changing out the pool table cushions on the rails we have you covered! There are many reasons why you should take care of your pool table recovering with new felt during installation, the most compelling one is the fact that you will save money, given that in most cases when we reuse the existing cloth it will have to be replaced in the near future. We will break down your table or move it from storage facilities, your garage or just another room in the house. If you need carpet laid do not try to move your pool table! Let us handle that 800 pound monster for you. Taking the table out of storage? We can certainly move it to your game room and take care of your pool table assembly. Why should you use experienced pool table installers backed by a written guarantee? We are the only company in the area authorized to issue an exclusive document that warrants the pool table services we provide. This document is issued by the American Billiard Installers Association, this is the only national organization that is raising up the service standards within our industry. From taking care of complete pool table moves, refelting, installing or just disassembling your pool table, you can be sure that our exclusive guarantee will cover all of our workmanship and materials used. Many companies out there will claim to have a guarantee but in most cases, it will be a verbal guarantee with no real value, and even if it is a written guarantee there is no company to hold them accountable for any issues that may arise during or after the service is completed. Please consider this when shopping around. The SOLO team of pool table installers are experts in refelting pool tables. Our professional pool table installers work with standard woolen pool table cloth and tournament grade worsted materials as well. Our customers can choose from over 30 different colors of pool table felt. We use the highest quality pool table cloth the industry has to offer at this time. Complete pool table moves from residence to residence and for businesses also. We are well trained in our area of expertise. Members of the ABIA, the only company in Denver Colorado to offer you an exclusive 1-year service guarantee IN WRITING and issued by the American Billiard Installers Association.